The Lehigh Valley Cider and Wine Festival was a perfect Saturday afternoon. The Lehigh Valley IronPigs nailed the inaugural, sold-out event right on the field of Coca-Cola Park. 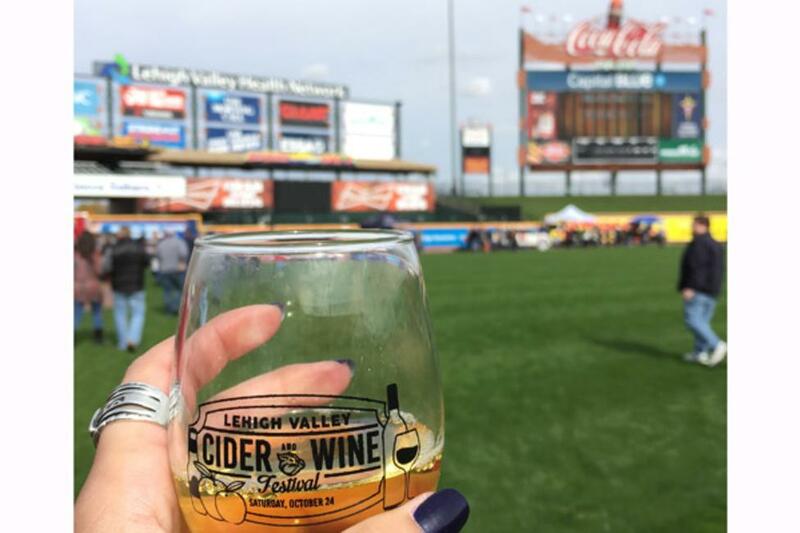 The festival featured hard cider and wine tastings from the Lehigh Valley Wine Trail and local and regional cideries. Cider is my favorite drink of choice and wine comes in at a close second so you could say I was living the dream (at least in my eyes). From the moment my friends and I made our entrance, we knew we were in for a treat. VIP treatment was well worth it, allowing us to avoid lines for the first hour. We were able to try every cider and wine vendor and pick our favorites. That way, we knew which lines were worth waiting for during the remainder of the event. I was a big fan of the sweet ciders and wines. Ones that stood out to my taste buds were Strongbow Hard Apple Ciders, Johnny Appleseed, Franklin Hill Hard Cider, and Stella Artois Cidre. Each of the wine vendors had something unique about them. I especially liked the wines that paired well with chocolate and the assortment of sangrias. I chose to buy a bottle of Alexander’s Blackberry wine from Moon Dancer Winery because it was that good. Besides tastings, I partook in an apple launching competition. I had two chances to launch an apple into a hula hoop using a slingshot. Needless to say, I did not make it to the finals. Entertainment was provided by Tim Harakal and Harkland throughout the day. For food, everyone seemed to be enjoying bacon on a stick and a variety of cupcakes. Interesting combination but these vendors sure do know a way to a girl’s heart. I am desperately hoping that this is the first of many festivals of its kind. I’m looking forward to spending more days out on the field at Coca-Cola Park.